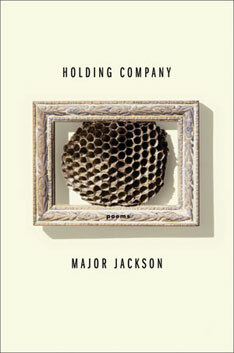 In Holding Company, Major Jackson explores art, literature, and music as a kingdom, or an empire, a dark, seductive force in our lives. In an effort to understand desire, beauty, and love as transient anodynes to metaphysical loneliness, he invokes Constantine Cavafy, Pablo Neruda, Anna Akhmatova, and Dante Rossetti. In his first two collections of poetry, /Leaving Saturn /and /Hoops/, Major Jackson showed himself to be in thrall to a dense, allusive rhetoric, constantly seeking to follow a narrative thread. The result was always a rich mix of contemporary and classical reference, as you find in the poetry of Melvin Tolson, and sharp appraisal of urban life, with an eye like Gwendolyn Brooks’s. And though I never thought I would say such a thing, the attachment to narrative, to telling a clear story, kept his language in check. It helped the poet toward a clarity that he would just manage to attain, but the poems were hobbled. They wanted to take flight into a more inventive realm. With his third book, /Holding Company/, Major Jackson has slipped the surly bonds of narrative and given freedom to his lyric voice. At the same time, he has achieved a compression otherwise missing from his earlier work. He has done this in a series of ten-line poems, which resemble nothing so much as curtal sonnets. The book’s epigraph from Robert Lowell’s sonnet about T. S. Eliot, first published in Notebook, then revised ultimately for History, is not the only acknowledgement of Lowell’s influence. Lowell, too, found in his unrhymed, quasi-blank verse sonnets a release into lyricism and pursuit of the memorable and penetrating line, while risking obscurity. The other epigraph is from Pier Paolo Pasolini’s long poem “Plan of Future Works,” in which the Italian poet and filmmaker seemed to embrace the ambiguity of his own life as represented in his poetry: “neither the sign nor the existing thing matters.” That looks like permission simply to let the language have its way, to let ’er rip, clarity be damned. its wish for bloom, and the net, knotholes of emptiness. belief in the horizon, and mud its defeated boots. and death its grief which is like a midsummer thunderclap. from my white bones and shook the walls of our home.